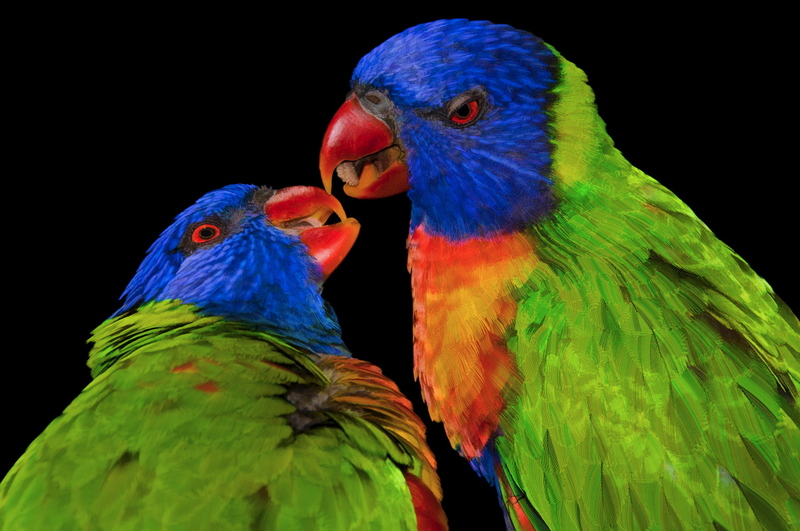 These colorful lorikeets are so much fun, and amazing to watch! They have brush tongues that sip nectar, and they are the most outgoing of parrots. They're not afraid of anything, and will land on you if they think they'll get a nectar treat. I love their colors, and personalities! To create a painterly look, I used Topaz Labs Simplify to remove some of the detail, making the image more artistic. Thanks those who already signed up for my Friday fun webinar on Topaz Labs Simplify! See you there! PS... I'll be giving a presentation/demo on "Artistic Imagery" for the Orlando Camera Club on July 25th, covering my favorite tips and techniques for creative fun in Photoshop!